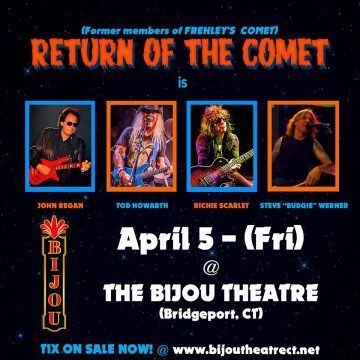 BACK IN LATE DECEMBER 2018 JUST BEFORE CHRISTMAS, THE WORLD RECEIVED THE ANNOUNCEMENT THAT A NEW BAND TITLED RETURN OF THE COMET CONSISTING OF FORMER FREHLEY’S COMET AND ACE FREHLEY BAND MEMBERS — JOHN REGAN (BASS), TOD HOWARTH (SINGER/GUITAR), RICHIE SCARLET (GUITAR) AND STEVE “BUDGIE” WARNER (DRUMS) — WAS UPON US AND WOULD BE PLAYING SOME SHOWS STARTING IN APRIL 2019. 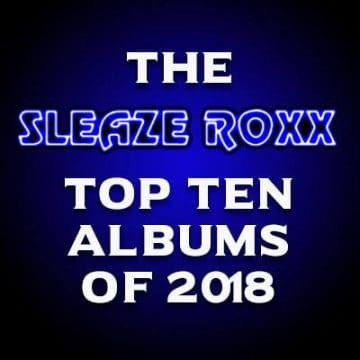 WE ARE LESS THAN ONE WEEK AWAY FROM THE FIRST SHOW AND SLEAZE ROXX CAUGHT UP WITH JOHN REGAN, WHICH TURNED OUT TO BE A FUN AND INTERESTING CHAT. IN TERMS OF THE INTERVIEW SETTING, I WAS SCHEDULED TO TALK TO JOHN AT 1:00 PM BUT MY WORK PLANS CHANGED THE DAY PRIOR MEANING THAT I WOULD BE ON THE TRAIN AND IN TRANSIT FOR MOST OF THE DAY. RATHER THAN ASK TO POSTPONE THE INTERVIEW, I ENDED UP GOING TO A PIZZERIA RESTAURANT TO CONDUCT THE INTERVIEW IN A SOMEWHAT NOISY SETTING. Sleaze Roxx: I am quite excited to speak to you about Return of the Comet. What prompted you and Tod [Howarth] to start that band? John Regan: Well, I tell you what, Return of the Comet started with a phone call from a good friend, Tommy Higgins. Actually, Tod and I were writing for his new solo record and I was just relaxing waiting for Tod to come to New York. Out of the blue, Tommy called and said, “What do you think about doing a little project together with Richie Scarlet and Tod. 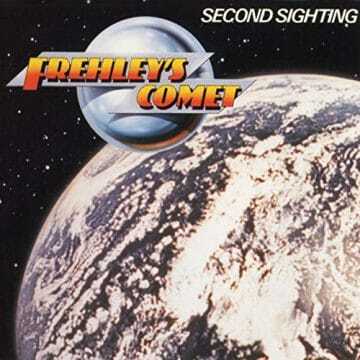 Kind of honour Frehley’s Comet back from its inception in 1984 up to like the nineties. I said, “Wow! I really hadn’t thought of that at this time.” It’s kind of the way Four By Fate started. We wanted to get Ace [Frehley] involved and for all the reasons that we won’t go into that didn’t happen. So I said, “Listen Tommy, great idea. Let me ring Tod and Richie up and see if they’re interested.” And lo and behold, they were up for it and we recruited Steve “Budgie” Warner who was in Ace’s band for many years and we got a band! I am excited about playing this material. A lot of it hasn’t been played in decades and some of it, we never played live. 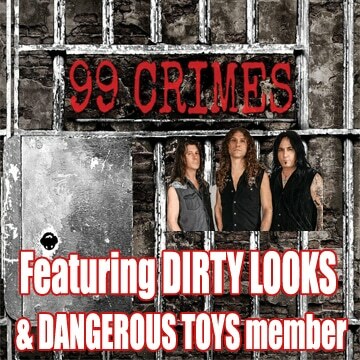 Sleaze Roxx: That sounds very exciting! You’ll have to give me at least a few titles of songs that you are going to play that people have never heard. John Regan: Only if you order me escargot at this restaurant that you’re in right now. John Regan: You said it’s pizza. I don’t think that’s going to over very well. Escargot pizza is kind of pushing it. Sleaze Roxx: [Laughs] Yeah, yeah. John Regan: I tell you what. Just for you, I’ve got the list in front of me. Obviously, like I said, we’re going to do material from the first Frehley’s Comet record, material from ‘Second Sighting’ and ‘Trouble Walkin’.’ But then we’re also going to be doing a song that we haven’t done. I think we only did “Give It To Me Anyway” [which can be found on the greatest hits compilation ‘Loaded Deck’ released in 1998 and ‘Greates Hits Live’ released in 2006] once, once or twice I think back in ’85. 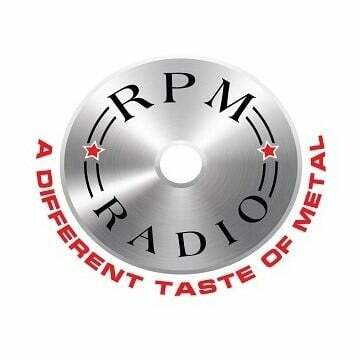 John Regan: “Give It To Me Anyway” will be in there. I really want to do a song called “Words Are Not Enough” [which appeared on the EP ‘Live + 1’ released in 1988] which we never played live. 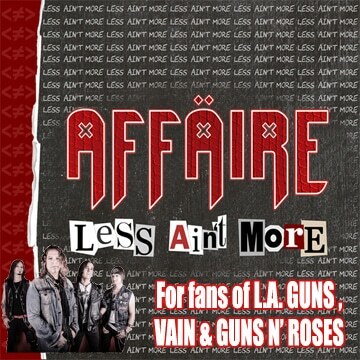 Sleaze Roxx: I love that one! John Regan: That one has never been done before. I tell you what, with Richie and Tod playing guitars on it — we ditched the keyboards — it’s sounding absolutely killer. Maybe a little bit of “Rock Or Be Rocked” which is one that we started recording for an ill-fated record contract that never came through in 1985. And “Do Ya.” You know, I don’t want to give too many more away. John Regan: It’s a great set. We’re looking right now at about 18 songs and they’re sounding stronger than they have ever sounded. I am really, really excited about this thing. Sleaze Roxx: What made you decide to ditch the keyboards? John Regan: When we recorded that — it’s interesting, everybody thought that Tod Howarth played keyboards but actually a friend of mine, Tommy [Eyres — 3:55] played keyboard on it. And ditching the keyboards — when we made the first Frehley’s Comet record — it was a different mind back in ’85, ’86. Bands used to use synthesizers and such but when we sat down and said, “Look, we’re going to do this. We’ve got to make a lot more rockin’ and a lot more raw.” Once Richie and Tod start working guitar parts out — Tod flew in for a weekend and he and Richie basically did a get to know you session and I stopped by on one of the days and I heard what they had worked up for a particular number, it sounds way, way better. Sleaze Roxx: Cool! So I know that you have a couple of shows lined up for April. Tell me about those. John Regan: We are going to kick it off at the Bijou Theatre in Bridgeport, Connecticut [USA] on April 5th, which is a Friday. And then we head out to a really, really, nice venue in Sellersville, Pennsylvania — the Sellersville Theater — on Tuesday, the 9th of April. We then have another great gig that I did with Peter Frampton during the many years that I played with him — Showcase Live in Foxbourough, Massachusetts on Friday, April 12th. And then we pop that little inaugural run off last the legendary Chance Theater in Poughkeepsie, New York. That’s on April 13th. That’s always a great gig. It’s kind of like our home turf. Sleaze Roxx: Cool! Now one thing about Return of the Comet, it sort of coincided with Richie getting let go from Ace’s band after all those years. Did you have a chance to talk to Richie about that? John Regan: Well, you know, we touched on it briefly. Obviously, when anything comes out of the blue and you get blindsided like that, it’s tough for anybody. Unfortunately, in the business, it happens a lot but Richie was — I have always said from day one — Ace’s champion. All I can do is speak from my personal opinion. I thought that was a bad move on every level. That’s just me. That’s not coming from Richie. Richie obviously, you’d have to ask him how he felt but that never feels good. We’ll all been on the receiving end of that and there’s no easy way to do that. There’s a right way to do it but there’s never an easy way to do it. He’s taken it like a man and a champion that he is. Now on a personal note, I am kind of glad that it happened [laughs] because it opens up a chance for us to play together. There’s confirmation that we’re doing the KISS Kruise IX Pre-Party in Miami, Florida [USA] on the 28th or 29th of Oct0ber. We’re playing a full set. I understand that Ace is going to be there. We’d welcome him with open arms to join us and play a couple of songs and just celebrate the time we made making music. And then, life goes on, you know? He’s working on his own project and his own record. As I said, it’s never an easy thing or pill to swallow but you just dust yourself off. Sleaze Roxx: Now, who’s going to be handling the lead vocals and specifically, the Ace vocal parts in Return of the Comet? 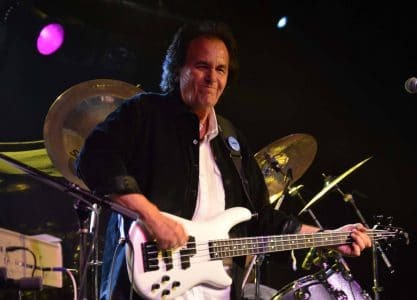 John Regan: I think right now, we’re still at the stage — on this trip up a couple of weeks ago, Tod and Richie sat down. Tod is going to be handling most of the vocals. Richie will do some songs from ‘Trouble Walkin” that Richie wrote and obviously, he’ll be handling vocals on those. Right now, it seems that Tod will be handling quite a bit of them but I think they’ll be some nice surprises on who is doing what. Sleaze Roxx: Cool! I actually lost my train of thought here. John Regan: That’s because put the pizza down and talk to me [laughs]. Sleaze Roxx: [Laughs] OK, I got it. I know that you were really trying hard to get a reunion for Frehley’s Comet and you finally did get a mini-reunion at a KISS Expo Fest. Sleaze Roxx: So how was that reunion? John Regan: It was in Indianapolis last year. Sleaze Roxx: So how was that? After all those years, you have Anton [Fig], Tod, yourself and Ace back in the same room playing those classic songs. John Regan: It was wonderful. I just wish that Ace would have taken 15 minutes. We could have gotten over the songs first. John Regan: You know, it wasn’t perfection but the spirit was there. I have done a bunch of records outside the Frehley family with Anton and everybody knows that he’s one of the top drummers on the face of the earth. 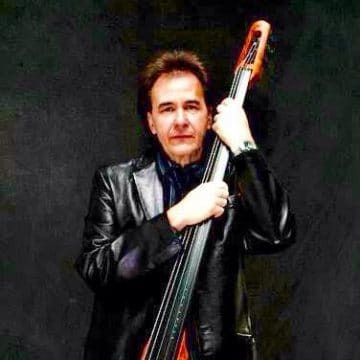 So for a bass player, to play with Anton Fig is just a joy. Those of us who have had the opportunity, everybody knows what I am talking about. It was great! Again, I wish that we would have a little time to rehearse but it was kind of like getting back on a bicycle. Riding at first is a little wobbly but it’s still fun. It was great! Again, when we do this KISS Kruise IX Pre-Party, I have already told everybody we’re going to put in about half an hour of rehearsals so we’re all on the same page. John Regan: It’s always fun. Look, whenever you’re in a band, I equate to the kids that you went to high school with, you may not see them until your tenth or 20th [year] high school reunion but you kind of go right back to that relationship. It was great and I am looking forward to doing it again. With the Return of the Comet shows, Ace, Anton, anyone who was in the band has an open invite at any of the shows to pop in and just have some fun and go back in the memory books — just celebrate the music and being together. Because everybody in this band, on different levels — I was fortunate enough to co-produce with Ace and Eddie Kramer — you know, we all wrote together. We recorded together. We performed together. This is not a situation where — we’ve got a couple of responses that this is a tribute. It’s not a tribute band because we all made the music. It’s basically the people who created it are going to be performing it and with not having played some of these songs in over 30 years, the level of excitement… We are going to be playing these like it’s the first time. It sort of what it feels like when we get into rehearsals. We’ve done a couple and it’s great. I really think that our friends that are going to come out and see it are going to be passionate with the cross-section of music that they’re going to hear. Uploaded by Mike Brunn on 2018-05-14. 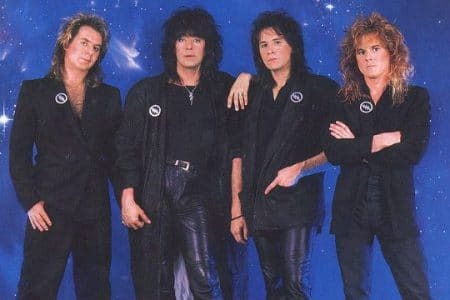 Sleaze Roxx: In some ways, it feels that Return of the Comet is almost like, “Well, if Ace is not going to do the Frehley’s Comet reunion, we’re just going to go out and do it on our own.” Am I correct? John Regan: Yeah. Again, when Tommy called us up, Tommy called me up. It’s kind of like, “Wow. 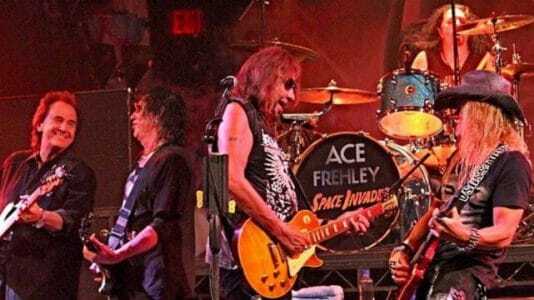 This is kind of something that I wanted to do about five or six years ago.” At the time, the amount of money that he [Ace Frehley] thought that he needed to make was unrealistic to be honest. And that’s when Tod and I decided to perform our thing together. So you know, everything happens for a reason. The old adage that when one door closes, another one opens has always been true. As musicians, we just want to play music. I really — I really like what I am feeling when we get together. You have the hard edge of Richie. You’ve got the melodic side of Tod. It kind of reminds me of a band that I always loved and that my old boss was in — Humble Pie. You had [Peter] Frampton on the melodic side and [Steve] Marriott just tearing it up. The combination is really, really powerful and it makes the music more fun to play to be honest with you. Sleaze Roxx: So what is the status for Four By Fate? John Regan: Four By Fate will be on the back burner for a while we do this but it’s still an ongoing project. Pat Gasperini who is in Four By Fate has the Patrick James Band. As a matter of fact, I just played with him on his first New York show last night at the Chance Theater in Poughkeepsie. That’s a nine-piece band. It’s kind of like hard edge country. We opened for a band [called] Jackyl and it was a great night. Everything is still cooking but it’s just a different focus. You know, it will sway back and forth. Right now, we are going to do this first run with Return of the Comet and see how we are received. We are hoping that it goes over well. Again, I gave you the shows. There are a couple more in the New York area, and that’s Friday, June 28th at the Debonair Music Hall in [Teaneck] New Jersey; the next night on Saturday, June 29th at the 89th North Music Venue at Patchogue, Long Island [New York]. So right now, we have about eight to ten things on the burner and it remains to be seen. We cast our fate to the wind. We hope people come and enjoy it, and we can do more of these shows. You never know, like I said, who’s going to jump in, who’s going to show up. There’s going to be some surprise nights. 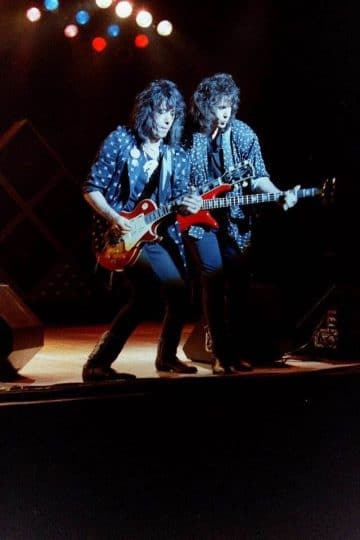 Sleaze Roxx: After you played those two songs with Ace at the KISS Expo, was there any talk of doing more stuff with him or was it just play those two songs and that’s it? John Regan: Tod and I are always open to it. Anton is on the road with Joe Bonamassa so his plate is pretty full. I think that at that point in time, Ace was jockeying for position to be part of KISS’ ‘End of the Road Tour’ and from what I am seeing, as of now, that does not seem to be coming to fruition. He’s booking a bunch of solo things. Tod and I have always been up for it. Again, I think you have basically so many people pull in so many directions, it’s unlikely but never say never you know? I’m open to everything. I just like playing. John Regan: After Four By Fate had been contracted to play, the promoter asked if Vinnie could jump up and play a few songs. Of course, we said “Yes” with the one condition that we had a rehearsal the evening prior to the show. Vinnie showed up, and we indeed got the chance to run through two numbers with him. In retrospect, I wish we had a bit longer to tighten up those songs. The evening of the show, Vinnie arrived to tumultuous applause, and we set about playing “Lick It Up” and “I Love It Loud.” Since Vinnie seemed like he was enjoying himself, I suggested “Cold Gin.” All in all, he looked a bit shocked by the incredible response, and I was happy for him. Wishing him nothing but the best, as he hopefully finds his way back to the stage. Uploaded by Mike Brunn on 2018-10-31. Sleaze Roxx: So just to get into your history, I saw that you played with a couple of artists that are Sleaze Roxx favorites. One of them is David Lee Roth. 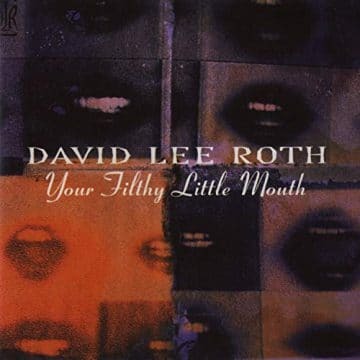 So how did you end up playing on David Lee Roth’s album ‘Your Filthy Little Mouth’ [in 1994]? John Regan: That was a call from probably my favourite record producer of all-time or one of my favorites I should say. I’ve got a handful. Niles Rodgers — I’ve worked with Nile Rodgers on a couple of projects, the first one being when David Bowie and Mick Jagger recorded “Dancing In the Streets.” That was 1985. They had a bass part on a track they wanted to place and I got a call from Nile, met Nile and we ended up working together. And then he called me to come in to work on a David Bowie record — “Sound of Vision” — and then I got a call from Nile to come and play with David Lee, which was a session that I have to say, wish never ended because it was so much fun. It was an absolute blast. Every day, David came in and held court. Everybody would be laughing for a couple of hours and then Dave would go, “Just go in the studio and have a good time.” And then, we would go and record a track. It was like a big party! John Regan: It was a great, great time. Sleaze Roxx: So how come you didn’t continue with David any further? John Regan: Errr. Back in those days, I was — kind of from 1979 to 2010, my main band was Peter Frampton. I worked with Peter for like 31 years but when Peter would not be working, I had to put food on the table and got into the city doing a lot of recording sessions. So at the time that I decided to do that record, it was probably while on hiatus from a Frampton tour. 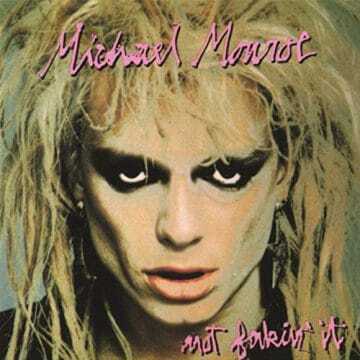 Sleaze Roxx: You also got to work with Michael Monroe for a couple of songs [the three first songs off the 1989 album ‘Not Fakin’ It’]. John Regan: Oh yeah! That was phenomenal. He’s another great guy. Michael is the epitome of a rock star without the attitude [chuckle]. John Regan: [Laughs] You know what I mean. He’s a great guy. Nasty Suicide was on guitar and Anton was on some of that record as well. They were great days. I tell you Olivier, back then, you’re talking the ’80s and ’90s, there was so much going on in New York. You’d get in the studio and you’d see somebody — “Hey! What are you doing next week? Come and play on this record.” It was a very, very fertile time and a lot of great music came out. I am sad that those days went by the wayside. Everybody now can make a record on your iPad. John Regan: I miss it. I am honoured and fortunate that I got to spend 20 years during its heyday. It was a great time. They were all great. It was a great time in rock n’ roll. Sleaze Roxx: So let me take you back to those three Frehley’s Comet albums that you played on. Obviously, the debut speaks for itself. I know, and you can correct me if I am wrong, ‘Second Sighting’ was a bit of a disappointment compared to the first one and ‘Trouble Walkin” seems to be a return to form for the band. What are your thoughts? John Regan: Yeah. Well, the first album — of course, we had a couple of years to formulate it, put it together and then we went out on tour. So back in those days — you didn’t see this happening before — but back in those days, if you put something out and it started to make little noise, we did pretty good with the first Frehley’s Comet record. It almost went gold right out of the gate. Back in those days, the record company would be “Get back in the studio.” We put out an EP, a live EP, which I thought that we shouldn’t have done that quickly. So a combination of not enough time to put the material together and honestly, Ace was not 100% back then and they wanted another record. So you basically go to whomever is your A team at that point and whomever is writing, and Tod never stops writing. They wanted a record and we had to deliver and the majority of the effort was Tod’s writing so was it a different record from the first? Yes, because we were told to put another record out. In hindsight, I would have waited. Give us some time to work some material up, get Ace back in shape from being on tour and it obviously did not do what we wanted. Tod then decided that he wanted to do some solo work and the record company at that time just wanted to hang their hat on Ace. It’s probably a very wise decision and Richie came back into the fold. Remember, he was in the original Frehley’s Comet along with Arthur Stead. But ‘Trouble Walkin'” came out great. I love that record. Like you mentioned Olivier, it’s a return to a harder edge and I owe all that to Richie. Richie brought that back to the table. I think that he’s such a fine guitarist in his own right and it made Ace step up his game. 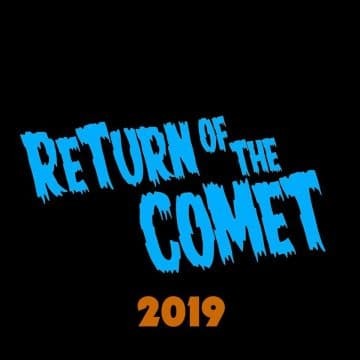 Sleaze Roxx: So my last question for you — will Return of the Comet have any new material that you’re working on or will you strictly be celebrating Frehley’s Comet / Ace Frehley solo era? John Regan: I think for this first two or three months, we’re just going to try to go out and about, do the material from ’84 to ’90, and I know that Richie is always writing. I know that Tod is always writing. So I would be surprised in the time that we’re together, we start talking about coming up with new music. But the first focus is about getting the show together, getting the music back out to our friends, and I hope, I hope that it’s as well received as we are seeing on social media. [If] it will have some legs, we will continue on and we will come up with new material. The best way to find out what is going on is go to our website and/or our Return of the Comet Facebook page. That’s going to have all of what’s going on with the band and where we are going to play. Hopefully, if it has some legs, we’ll start delving into some other material after I left and when Richie and Budgie were in the band. We’ll see. Right now, we have our plate full with these 18 songs that we are learning and it’s going to be a lot of fun. I am thankful that I am getting to play with these guys again. They’re not just great musicians but they are great friends.